Certain people say, don't judge based on appearance. 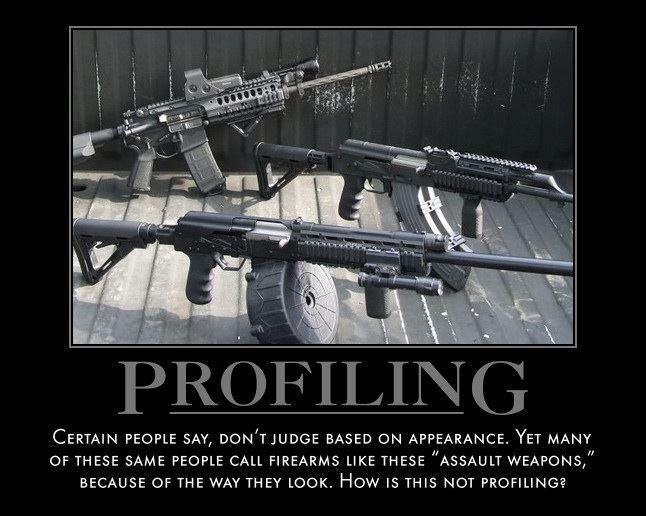 Yet many of these same people call firearms like these "Assualt Weapons,: because of the way they loo. How is this NOT PROFILING?